Apple has started airing a new iPhone 4 commercial which brings two of the largest American cellular networks together on-screen. The ad shows that you can do FaceTime calls, navigate using Maps, read iBooks, download apps and do much more equally on both the AT&T and Verizon iPhone 4. 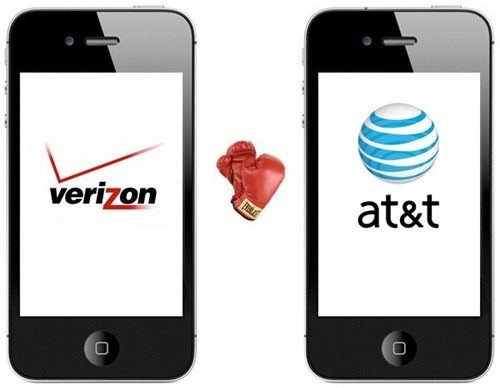 Apple is all set to launch the CDMA based iPhone 4 on Verizon Wireless on February 10th, 2011. AT&T denied many cheap unlock owners’access for their database. Folks! I think the fastestiphone ՍΝᏞΟᏟΚing service on the net is just google atttiphoneeuunlocking. we are in a job to ՍΝᏞΟᏟΚing the phones that was bared or bl0cked by its carrier.